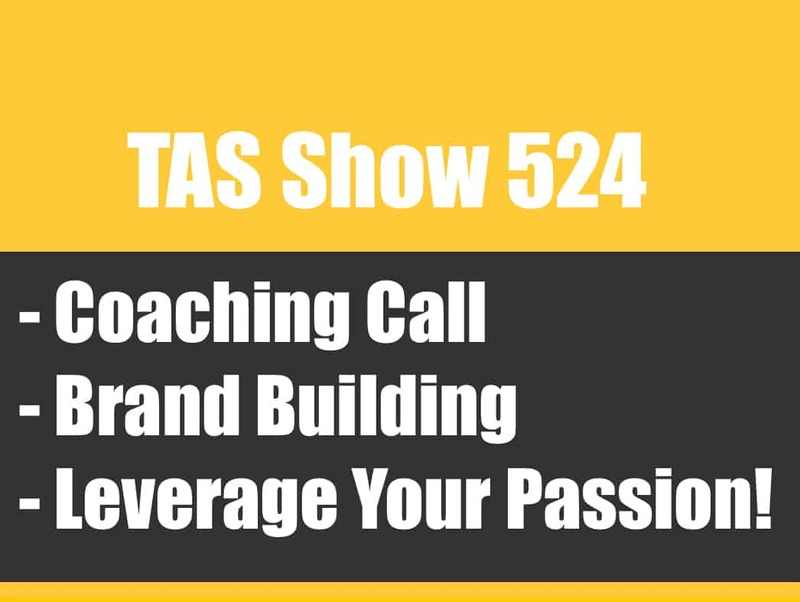 In this episode I will give you detailed steps that it took to go from ZERO to $47k in 90 Days selling on Amazon. 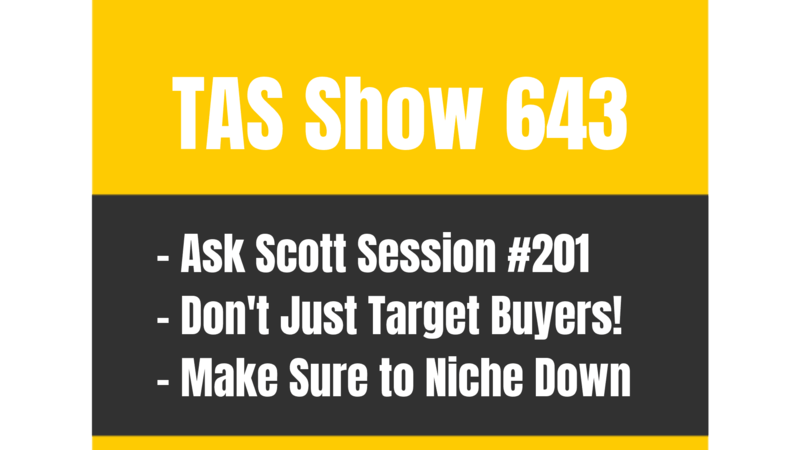 TAS 643: Ask Scott #201 – How Do I Know Which Niche to Build My BRAND Around? Ive had your podcasts recommended to me and want to start listening. I would normally start from the beginning, and work my way into your newest podcasts, however, the beginning is 2015! I know a lot of that may be outdated by now, especially since amazon had some significant changes in policy in 2016. Where do you recommend I begin? I want to become a Private label seller. However I heard from several people that I shouldn’t start with private label but work my way up starting with RA, then maybe wholesale then PL if I still want it. They say the risk of making expensive mistakes is much higher if I would start with PL directly. What is your opinion on this? I’m just getting started here and was wondering if the information in this podcast is still relevant in today’s marketplace as this podcast is from Feb 2015? If not, where do you recommend I start? Yes the information is absolutely relevant. I would take a look at the brand new start here section of the site, where we just posted the 5 step road map we recorded a few weeks back with the most updated version and what exactly is working now. Was wondering what your thoughts were on using amazeowl vs jungle scout? Hey Mike, Junglescout is the way to go if you’re looking for a tool to help. I found a seemly good product but there is something that could be problematic. Aĺl sellers on 1st page making good sales. There are not too many reviews but the other sellers have really optimized there listings. What do you think? Should i jump in? Hey Ben, if the sales numbers look good, other sellers having an optimized listing wouldn’t scare me away, keep your eye on that one. Hi Scott, Wondering how much you invested on your first product launch all-in? Hey Dominique, sellers typically spend between 2 and 5k all in. Very much early stages and considering doing this as an option, so listening from the start and seeing if is something I can do. Finding it very inspirational and appreciate the free content greatly. My question is if the early podcasts still represent amazon today and if the tips and tactics you’ve mentioned are still viable considering that was 3 years ago. Thanks again. I really enjoyed your podcast and I am just planning on starting. I have some question about Private Labeling and getting started and rolling. Hi Scott, I’m a total newbie at this stage – I’m currently working through your first few episodes – whilst writing notes. I’m at the stage where I’m thinking about buying Jungle Scout – however I’m just confused on how I research products?! 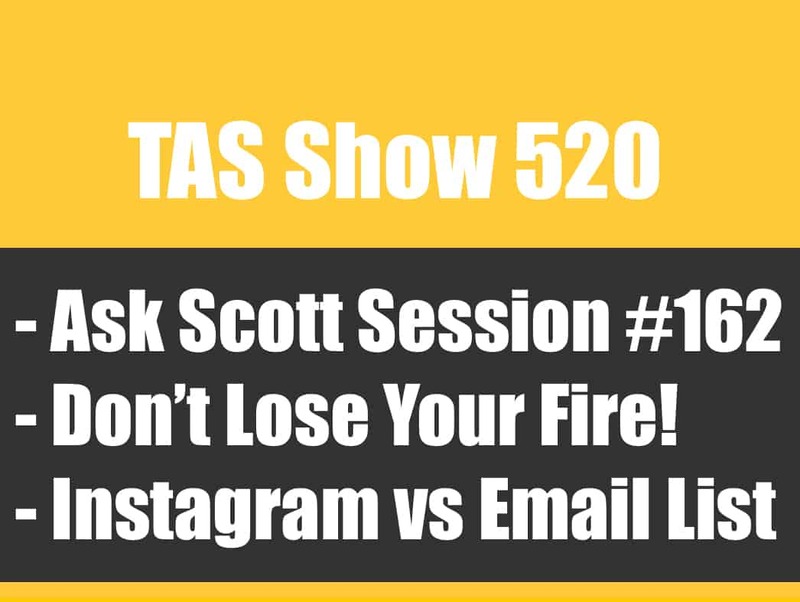 You mention in episode 2 – that you search for the BSR to be 500 or less?! I don’t understand what that means? Sorry if this question sounds silly – but as you’ve mentioned, research is key to this – But I don’t know how to research!! : S Thank you for creating this amazing podcast!!! Hey REbecca, whenever you hear us talk about BSR we are talking about the “best seller rank” that is a a measure put out by Amazon on how well the product is selling, if you look in the product details section of the listing, you should see it there! 1. You mentioned spending 300$ on FB page if I got it right, on what exactly? Because later on you mentioned spending 100$ on the FB Ad. 2. Where can I get the codes for a giveaway or the discount that I will be using on FB? 3. Sine Amazon rules have changed regarding giveaways and reviews would you still do the same thing, meaning the FB page, the Ad and are we allowed to kindly ask those people for a review after they get our product? Hey Ina you can absoutley still do discounts and then ask for a review, you simply can’t give the discount ONLY if they give you a review. The codes are generated inside your Amazon account in the promotions tab. You are awesome man!Love your podcasts!! I just quit my job and plan to start my Amazon FBA business to be my own boss. I am highly motivated and planning to invest $3,000 initially. If possible, can you please suggest me which categories should I go for initially as a safe bet? I was thinking about Home & Kitchen. Also I just came to know that factories remain closed during Chinese New Year from January 28 for almost 5 weeks so I was thinking sourcing from US suppliers until Chinese factories re-open in March 2017. Can you please share your experience with US suppliers or any other country except China?I would really appreciate that. Thank you!!! Hey Sanjay, it’s not about the category it’s about the product! Suppliers from anywhere will work as long as you’re getting a quality product and selling to a market with demand. Thanks for educating us ! Was wondering if I patent something and start selling it through amazon…would that prevent other sellers from selling it in amazon too? I mean normally it should right? Hey Arezo, generally patenting something would stop people from selling it, period. Unless you give them the go ahead. Keep in mind that it’s an expensive and time consuming process, so if you’re not inventing a product from scratch, it’s usually best to just start selling. How do you create a landing page? Thank you for such great content. Can you explain a little more detail what you mean by a BSR 500? Trying to reverse engineer the definition and can’t get to your numbers. Hey Johnny, the BSR (Best Seller Rank) for each product is located on the sales page. So is it split by product, category or both? Also just an FYI – not sure if its just me but there was no notification on this response – might be useful to ping an email to trace it. Hey Johnny, it’s split by category. For a newbie from Sweden … what would you say is the minimum amount to get started? I don´t have a big budget and I´m SO keen on getting this business off the ground. there isn’t a minimum amount, but sellers typically start with between 3 and 5k. 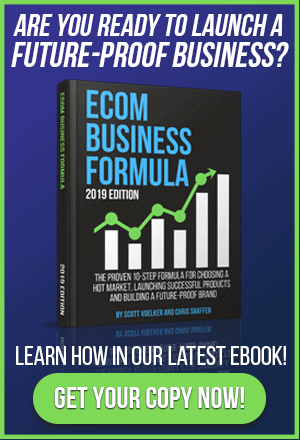 Hey Scott.. I’ve been listening to RDM FFL Podcast since episode one and I was looking for someone that talked a little bit MORE about selling through FBA… I ended up finding out about you through Spencer at nichepursuits.com. I just took 2 pages of notes from this first podcast. REALLY great stuff. I do have ONE question. When you say 45 – 50% margin, do you mean before or after Amazon Fees? The reason I ask is this: My wife and I had a bunch of unopened gifts laying around. Originally, we were going to regift them for future weddings / housewarmings, but then I got to thinking. Let’s try to sell it on FBA to see what the process is like. So we used our iphone to scan the UPC codes, matched the lowest price, shipped the inventory to the nearest FBA DC and then waited. Some products sold for 5-10-20-25$$$. But we only got back like … 1, 2, 3, for each product. Small small amounts. Are you making 45-50% profit after fees? Or are you saying your COGS is 50%, which gives you another 50% to cover FBA / PPC / etc. I hope my question wasn’t confusing because of the long story in between. I guess if I bring it back to basics, my question is this. Is 50% your gross margin or your net margin? Thanks again for the great content. And looking forward to your answer! Hey Sunny, my margin is after Amazon Fees! You are an AMAZING GUY! thank you so much for your podcasts! They are great! Hey Maya, some things have changed since the early podcasts, I probably wouldn’t use SuperURL’s at this point, just to be safe. Anyway, my main question is what percentage are you spending on promotions? What, if you can say, was your initial outlay before you began to see any income? Like all of us, I’m wanting to increase my earning potential. I happen to be blind. Less than 25% of blind people are gainfully employed, and most of us have minimal income. Many of the rest rely on government assistance. I don’t want to be part of that statistic, and I’m glad I don’t rely on anybody financially. Ultimately, not having to pay for a course means I can save up more quickly to get started selling and earning! Hey Rusty, it varies wildly from product to product. If you give a listen to a few of my income report episodes (BONUS episodes, as they are often marked) you’ll get a pretty good idea of how it breaks down. 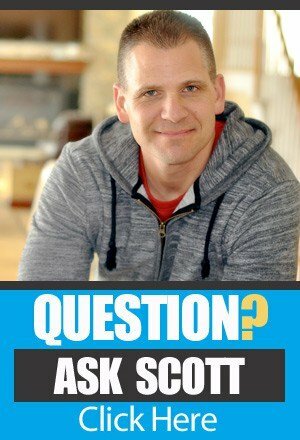 Hey Scott, I’m a big fan of your podcasts and heave lately been asking a lot of questions and find that your advice is very helpful and I appreciate it a lot! i just have another question for you regarding Facebook Ads. I’m currently in the process of creating a facebook page on which I will post regularly and eventually introduce my product. I’m planning to do a giveaway for 30 people who like and share the post and will also run an ad which advertises the promotion. How can I send the people who I will chose, a link to a landing page which will allow them to use a coupon code to get the product for cheap? Where can I get this coupon code from? Will I be able to control how many people use the coupon code? Hey Mustafa, if you’re doing it based on who likes or shares the post, you may want to use a promo software like shortstack to capture their email addresses, otherwise you’d need to notify them via facebook which can get tricky. The promo code would be the same one you generate from inside seller central. Back on the transcript thing, if people are truly interested in getting the most out of the content, it would be worth their while downloading the podcast, playing it with VLC or something which can slow down, and do the transcription yourself. That way you get to understand the nuggets through three learning modes – audio, kinesthetic (writing) and visual (reading what you wrote) That’s what I’m going to do. Scott, just joined your page and I want to say a BIG thank you for the information you share. As far as I know you are perhaps the only person sharing such valuable information without looking to ‘sell’ something! Hi Scott, I am wondering if it is too late to go into this field. You start your online sales by private labeling or online arbitrage? Which do you recommend for newbie? and in year 2016? HEy Waston it’s absolutely not too late to start. I started in the private label space, but if you don’t have any experience selling online, or you’re short on capital, you may want to start with retail arb!